The Rapid SL Support Frame for Wall Hung WC gives you the freedom to design your ultimate bathroom by providing a secure and quick method of installing WCs. 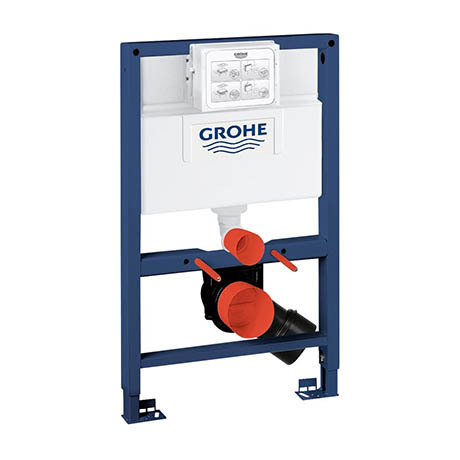 Each frame comes pre-assembled with sanitary ware fixings and is subject to stringent testing – Grohe WC frames are tested to hold 400kg. Please note: flush plate and wall brackets not included.